Environmental toxicologists study the effects of toxic chemicals on organisms in their natural environments, as well as the ecosystems they belong to. For example, they may conduct laboratory experiments to determine the effects of a toxin at various concentrations. Since some pollutants bioaccumulate, or build up over time in the flesh of larger predators that eat smaller, contaminated prey, environmental toxicologists may study the effects of bioaccumulation on wild food webs, as well as our own food supply. What Does an Environmental Toxicologist Do? Environmental toxicologists are usually involved in studying how toxic chemicals are metabolized by organisms, how they move through food webs and ecosystems, and the lethal and non-lethal effects they have on species. This work is often done with advanced computer models, laboratory experiments, and fieldwork. Experiments are often carried out on laboratory animals and human cells to determine toxic effects. Fieldwork may involve monitoring and reporting on changes in populations at all levels of an ecosystem that have been exposed to contaminants. Some environmental toxicologists conduct ecotoxicity testing and risk assessment on new chemicals before they're released to the market, to ensure they won't cause cancer, birth defects, neurological problems or other adverse effects. They may either do this testing for federal regulatory agencies like the U.S. Environmental Protection Agency or Food and Drug Administration, or for private companies. Environmental toxicologists may also help local, state and federal regulatory agencies develop and enforce laws governing the production, use and disposal of chemicals. They may either be employed directly by the government, or by private consulting firms. These firms also help communicate information about chemical risks and regulations to the public. Where Does an Environmental Toxicologist Work? Many environmental toxicologists are employed by private companies, where they help with product development, product safety testing, and navigating the regulatory landscape. They may either work for product developers, or for research organizations that contract their services and toxicological expertise. Environmental toxicologists are also employed by federal and state regulatory agencies, where they test new chemicals for safety or help develop regulatory policies. More than half of toxicologists working for the government have doctoral degrees. Toxicologists are increasingly employed by consulting firms that advise local public officials, industries and lawyers on issues related to toxic chemicals. Doctoral degrees are typically not required for these positions. Those with bachelor's and master's degrees may find jobs at consulting firms. Many environmental toxicologists are employed as faculty or staff researchers at colleges and universities. Doctoral degrees are usually required for such positions. Some nonprofit organizations also hire toxicologists to conduct research on chemicals or issues of public concern. 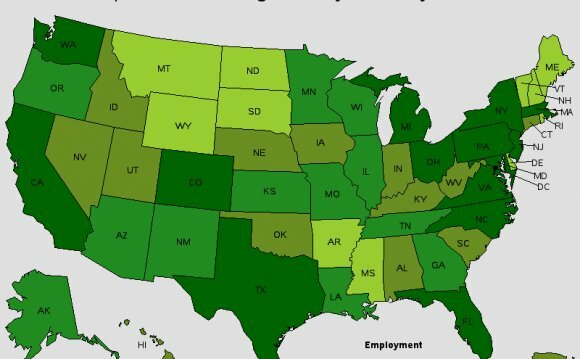 While most government and industry positions are located in the eastern U.S., jobs are generally available nationwide.